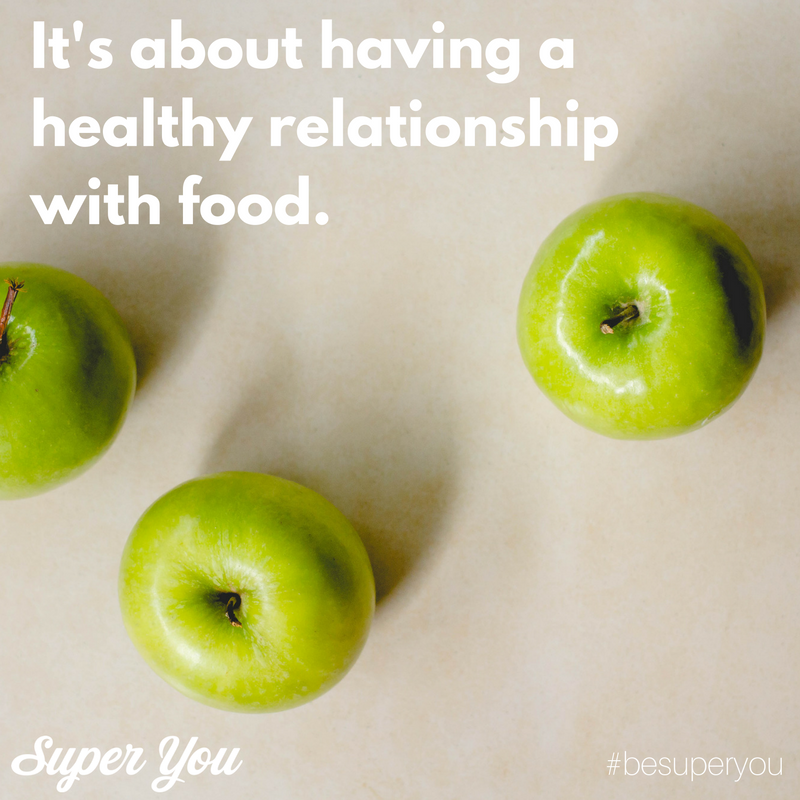 Super You | Fit, confident people. Healthy inspired community. You can create a healthy lifestyle that inspires you. As your coach, I have your back and will be with you every step of the way. I will give you the tools, structure & support you need to help you design & create the healthy life you want. You can do this. 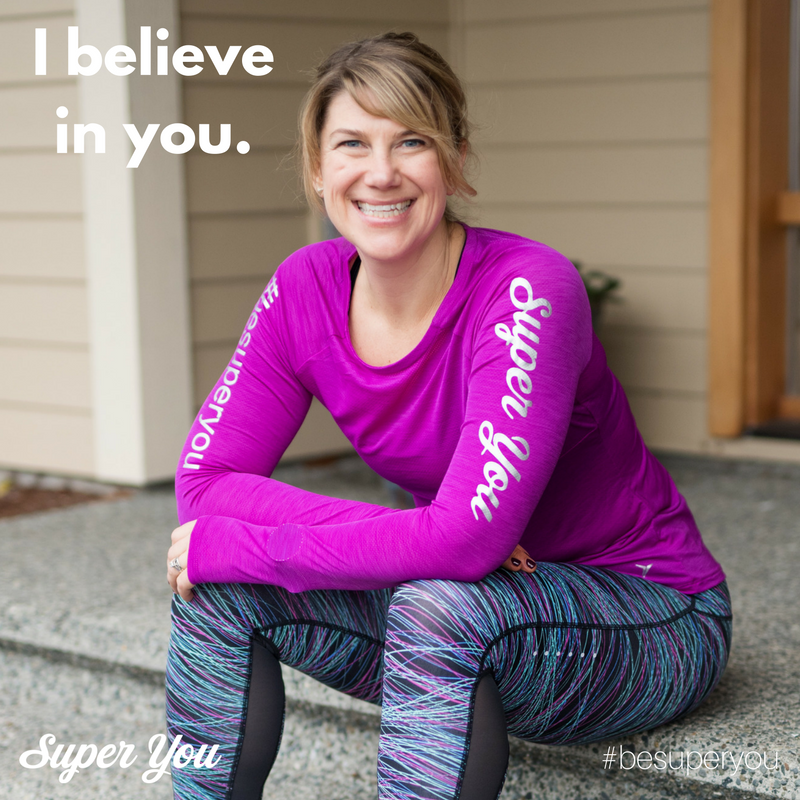 Super You was created to help people like you be fit & confident. You can run. 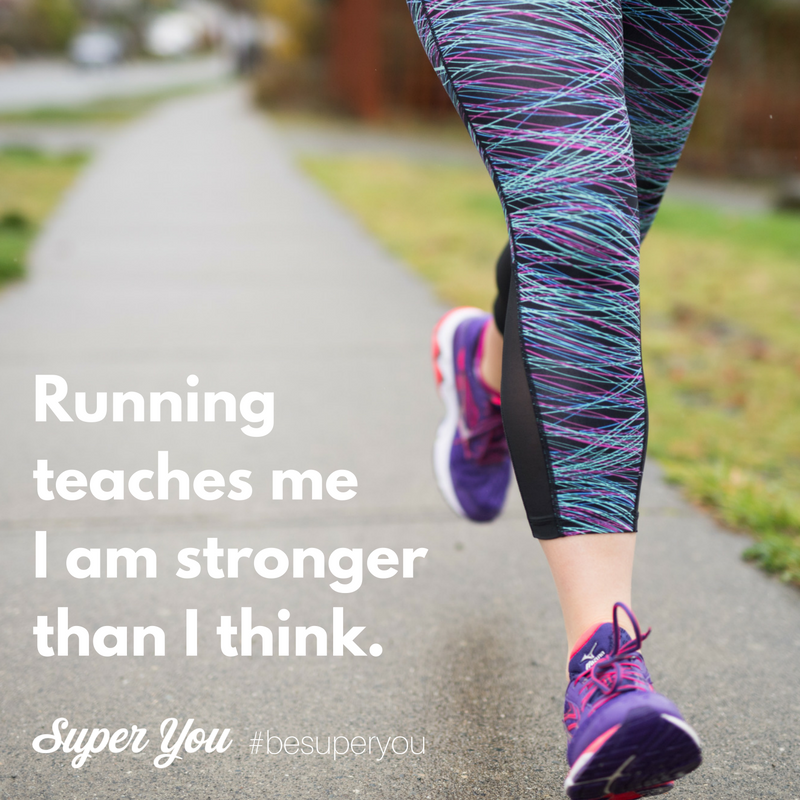 Super You running clinics are designed to help people of all ages and abilities find their love of running. Whether you’re just starting out and want to run 5k or 10k or you want to get stronger & faster there is a clinic for you. Running is all about challenging yourself realize you are stronger than you thought. End your battle with food! Food is not the enemy and your body is not a battleground! I want to help you be inspired by a healthy balanced diet. One that still leaves room for chocolate & wine! I have a simple nutrition system that will change how you look at food. Find peace with food and learn to love the way your body feels when you nourish it with healthy, whole foods. Fall in love with fitness! Fitness should add to your life not become one more chore on the list. 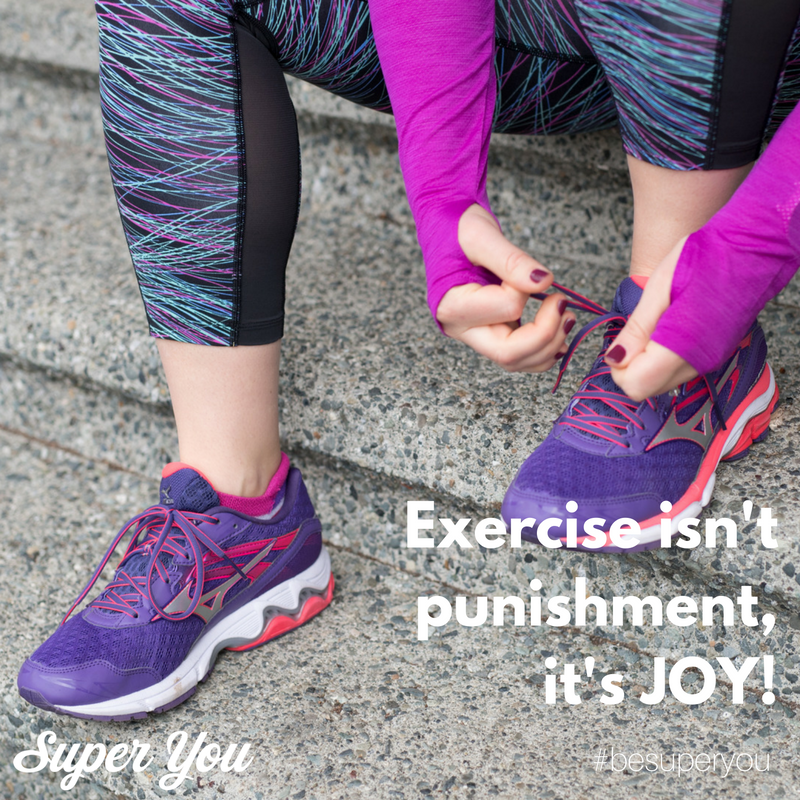 I help busy people just like you connect to the right fitness program – one that will work with your busy life, help achieve your goals and bring you JOY! Being fit and healthy can be so much fun – let’s get started! Want more tips, recipes & inspiration? 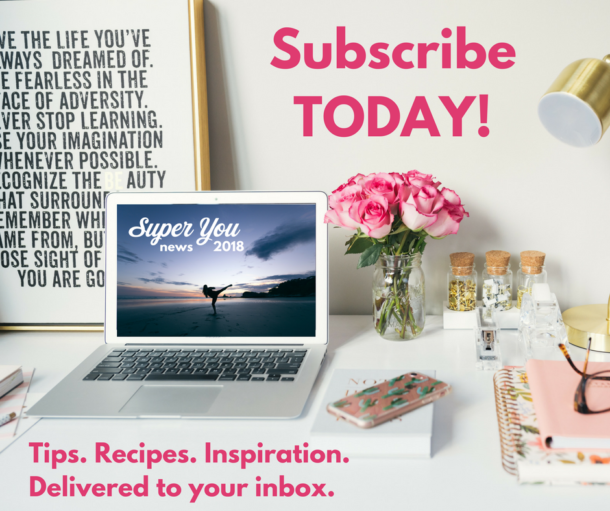 Sign up for Super You News! Do you live in Nanaimo, BC?! Stay “in the know” about upcoming programs, services & events! 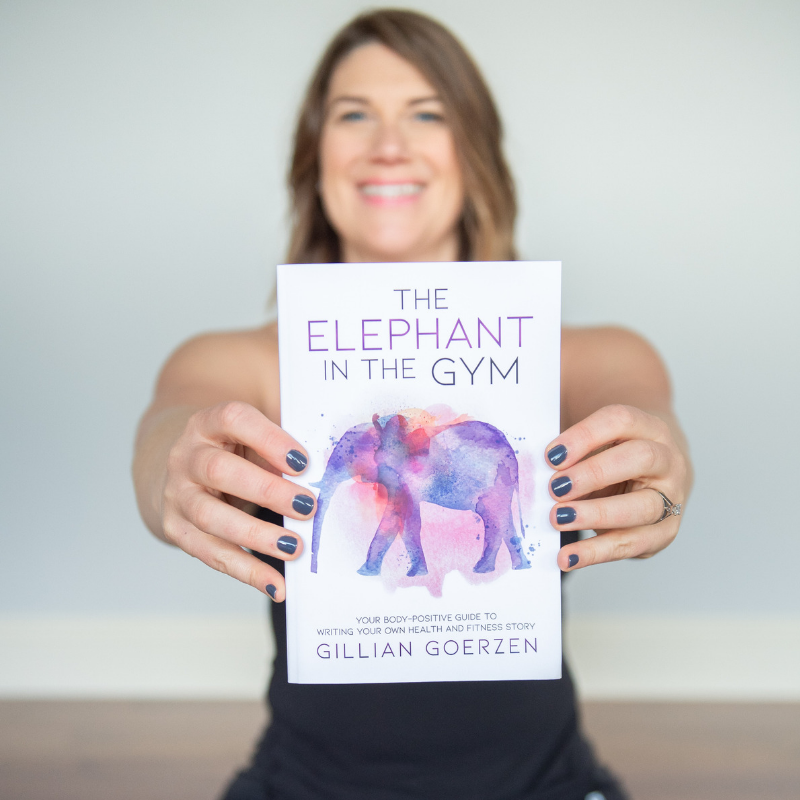 For a limited time I’m offering a FREE download of Chapter 1 of my book The Elephant in the Gym: Your Body Positive Guide to Writing Your Own Health and Fitness Story. In Chapter 1 you’ll discover the real reason you struggle to be consistent with your health and fitness (hint: it’s not you!). 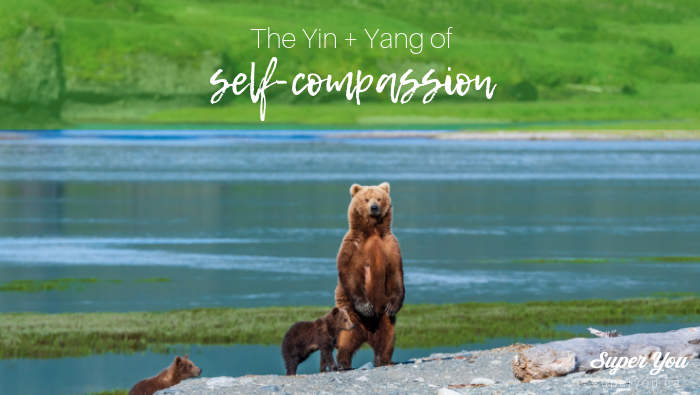 Learn the approach I share with clients that has helped hundreds of clients transform their health and their life! Yes! Send me Chapter 1! Click here for your FREE Anytime Anywhere Super You Circuit! This program can be done with no equipment and as little as 10 minutes and has options for all levels. Genuine support & accountability can be game changing! 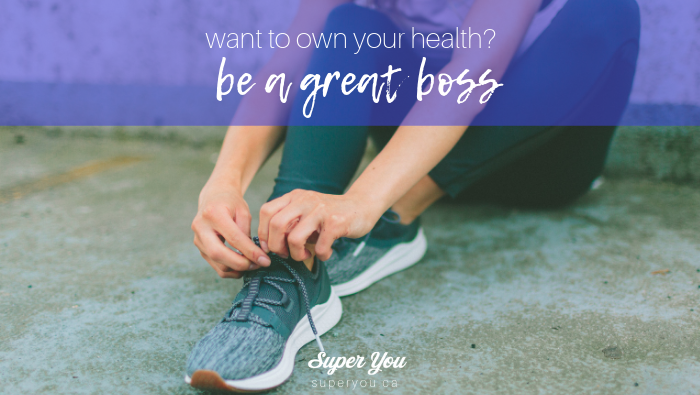 Join the Super You SuperCrew, a FREE Facebook community to support your health, fitness and creating a lifestyle you love! Put the Tracker Down and Reclaim Your Health and Happiness! I have been giving this tip for years. I’m pleased to see that research is now backing this recommendation. Why do I tell people not to track? For many people tracking calories/ macros/ food is NOT healthy behaviour. I have many reasons for this (in fact I included a hefty section on it in my book). 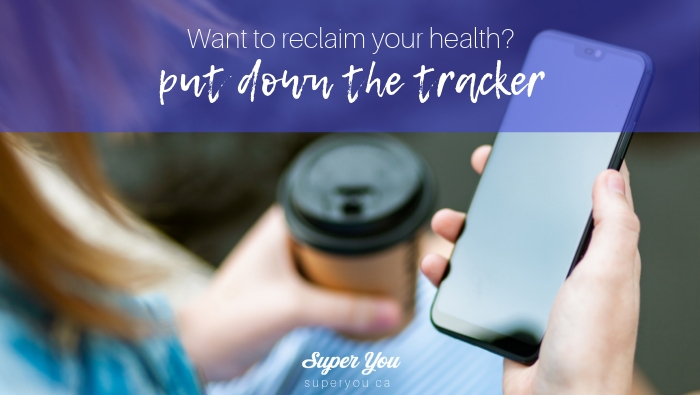 Read on for my list of questions you need to ask yourself to determine if tracking is healthy for you, and if not, what you can do instead to reclaim your relationship with food!